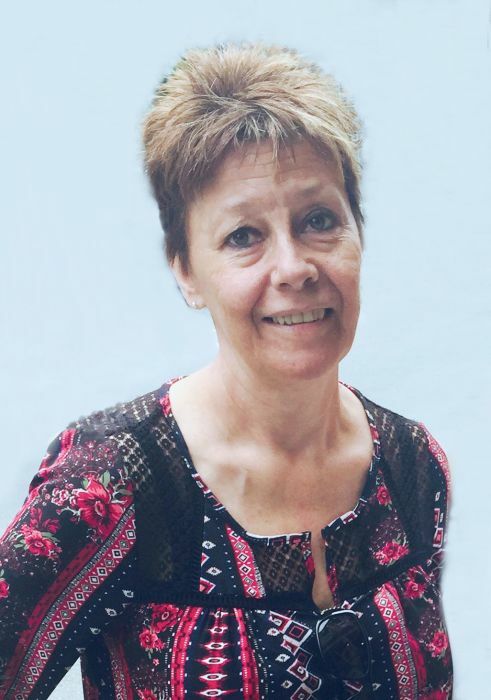 Obituary for Sarah M. Robinson | Jaycox-Jaworski Funeral Home & Crematory, a Branch of Gentle Care Funeral & Cremation Services, Ltd.
Sarah M. Robinson, age 57, of Irwin, formerly of McKeesport, died April 11, 2019, at Forbes Hospital. Born January 14, 1962, she was the daughter of the late David and Frieda (Mitteregger) Rhodes, daughter in law of Chuck and Norma Robinson and the wife of the late Mark A. Robinson. Sarah retired from the US Post Office, where she was a letter carrier. She was a graduate of McKeesport High School. She was very good with her hands and enjoyed sewing, gardening and crafts. She especially loved the time she spent with her grandchildren. Sarah loved to entertain her family and friends, and go over the top decorating for holidays. There's still time to send flowers to the Visitation at the Jaycox -Jaworski Funeral Home & Crematory from 1:00 PM to 5:00 PM on April 19, 2019.